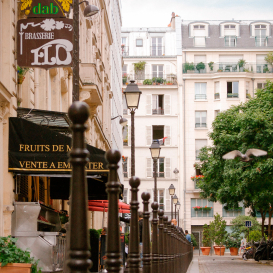 A multicultural melting pot with a huge array of food choices for eating out or cooking at home, Faubourg St. Denis is one of Paris’s liveliest areas. 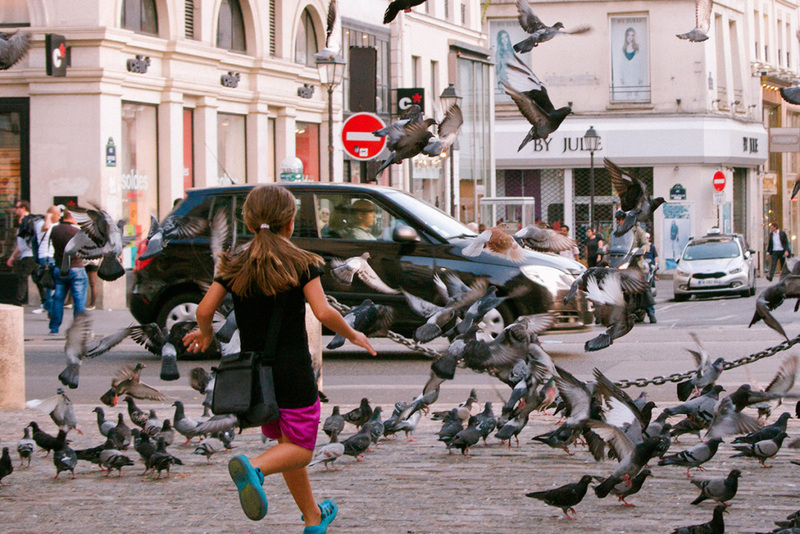 The Faubourg St. Denis exerts an enormous fascination on its residents. From the overlooked architectural grandeur of its twin arches to its teeming, multicultural street life, this square kilometre between Gare du Nord and the Grands Boulevards has an atmosphere that’s unique in Paris. 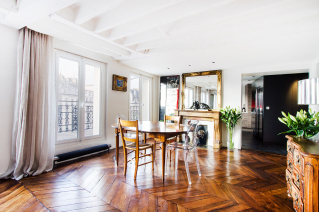 “What I like about it is that it’s not just bobo French, or Chinese, or African: it’s everything mixed together,” says entrepreneur Daisy de Plume, a New Yorker who lives on the rue du Faubourg St. Denis with her Argentinian husband and three-and-a-half-year-old son. “All that and I can walk to the Louvre in 17 minutes,” she says. 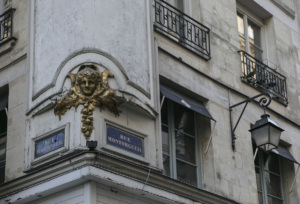 The rue du Faubourg St. Denis was once the main route into Paris from the north and the way the French kings entered the city in pomp and splendour after being crowned in the Cathedral of St. Denis. 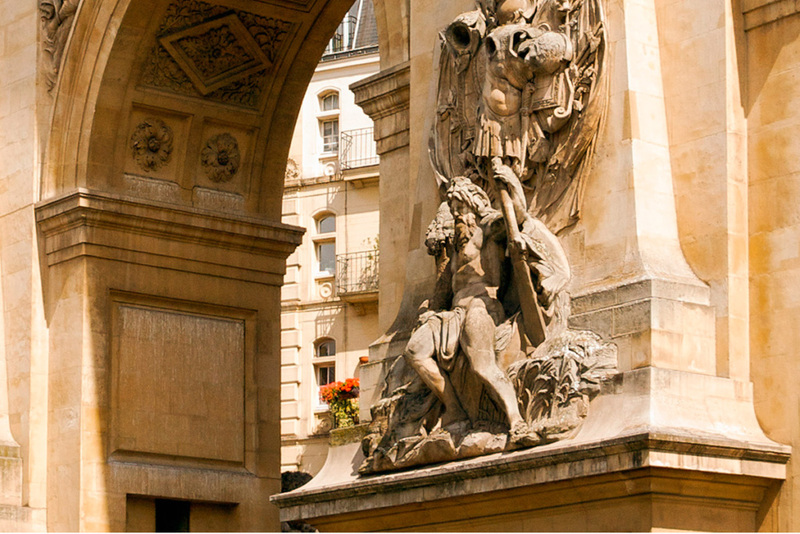 The two stone arches of Porte St. Martin and Porte St. Denis were built by Louis XIV after he knocked down the old city walls in 1670 and the royal stables were in the Passage des Petits Ecuries, the present-day home to some of the area’s best gourmet food shops. In the 18th and 19th century developers carved new cross-streets and filled in the gaps between isolated mansions with six- or seven-storey buildings. 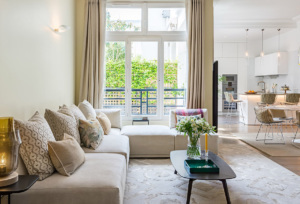 These became the apartments and ateliers of craftsmen, although the quartier also had something of a raffish air back then thanks to its proximity to the Grands Boulevards and their many music halls. The music halls are long gone, of course, as are the theatre folk, though there’s a faint echo of the neighbourhood’s colourful past in the form of costume hire shop Sommier at 3 passage Brady. 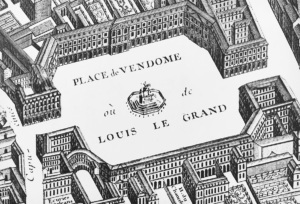 Back when Vidal moved here, the Faubourg St. Denis, despite its central location, remained a little-known pocket of Paris. 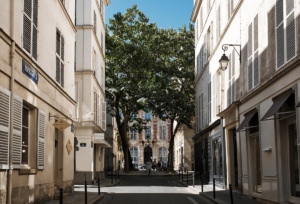 Like the now trendy Marais before its giddy transformation, the Faubourg St. Denis was sleazy, run-down and filled with sweatshops and peopled by artists and students and theatre folk looking for cheap rentals. 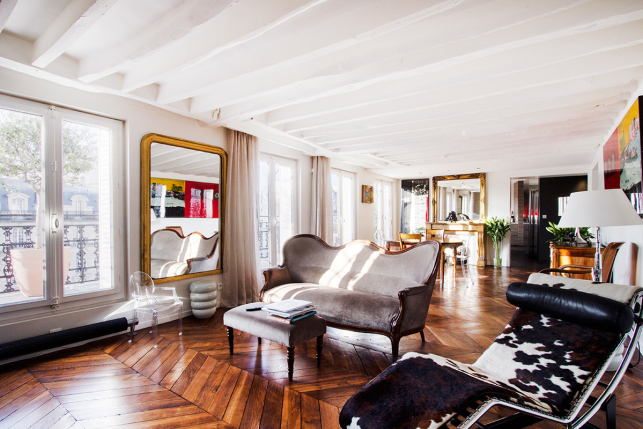 Over the past decade young professionals have been moving in and renovating apartments. And after the waves of immigrants who each brought their own flavour, the latest addition to the mix has been urban hipsters. A growing number of late-night bars and gourmet burger joints attract a young, international crowd and keep the streets buzzing into the early hours. 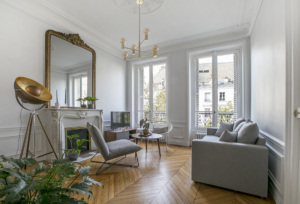 The appeal of the area’s apartments isn’t hard to see: many of them are spacious by Parisian standards, with two bedrooms and a decent-sized kitchen, attractive mouldings and point-d’hongrie parquet. 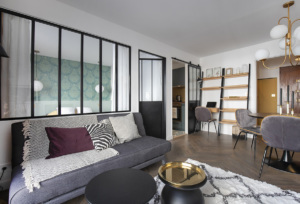 As demand has increased, there has also been a spate of renovations of what were previously the most run-down buildings, while some top floors – especially in the sought-after rue Martel or rue Paradis – have been turned into luxurious loft spaces. Older residents still remember the marchandes des quatre saisons: fruit and vegetable carts pushed largely by women. They were here until the 1960s, when they were moved out for causing congestion, and can be seen in the Jean-Luc Godard film Une Femme est Une Femme. What remains is a dwindling number of fruit and vegetable shops whose owners still shout out their prices to passers-by. 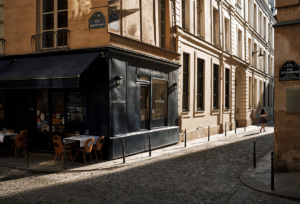 Recently when one shop on the angle with rue de Metz became a restaurant, it put an end to the traditional, friendly shouting matches between the Jewish vendors on one side of the street and the Arab ones on the other, trying to outdo each other on the price of strawberries. 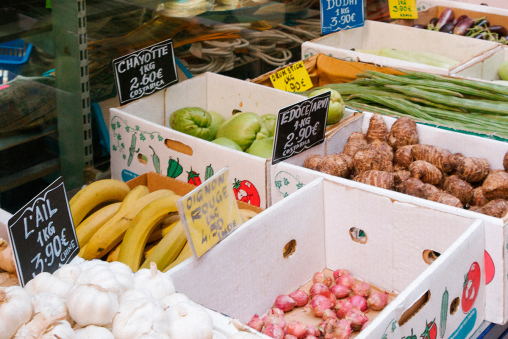 There is still an amazing array of different types of tomato on offer at any of the three remaining traditional vegetable shops and organic food fans can have their boxes delivered once a week to the passage des Petites Ecuries. 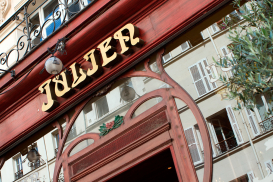 Flo, a popular restaurant in the passage des Petites Ecuries, and its sister brasserie Julien, never fail to wow with their belle époque decor, oysters displayed on street-side ice stands and classic dishes like sole meunière. 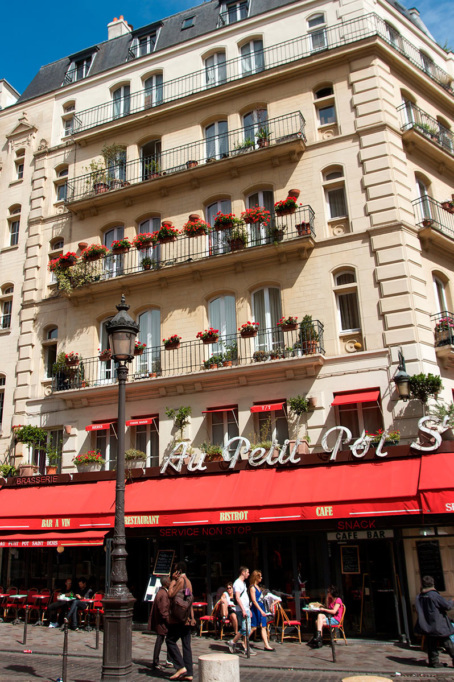 Now two new gastronomic bistros are delighting the foodies of the faubourg. The Bistro Bellet serves a €36 menu full of surprises and ultra-fresh ingredients with a refreshingly friendly and – yes, parisbymouth.com has it right when they say ‘gracious’ – service. And the Bistro Urbain (103 rue du Fbg St. Denis) has everybody raving about its tender meat and great value and a menu that changes every day. For gourmands wanting to wage war on the calories they have just consumed, the neighbourhood isn’t a great bet. 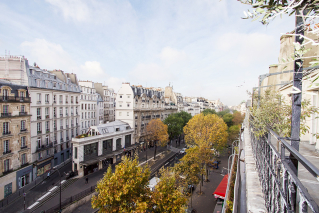 With its lack of green spaces the Faubourg is certainly not the best place for joggers, although journalist Nicholas Norbrook says he trains for half marathons by running along the nearby Canal St Martin. 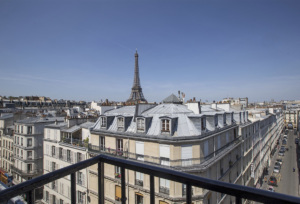 There are, however, several gyms nearby: two Club Meds (Waou Grands Boulevards and République) and the low-cost Club Montana République are all within easy reach. 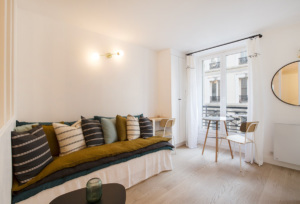 Yoga practitioners are also well served, with the small and intimate Casa Yoga at the end of a plant-filled courtyard at 4 rue de Paradis and Trini Yoga at 24 rue d’Enghien. At the Red Earth Centre at 235 rue Lafayette, Australian yoga teacher Louisa Raszyk is also a qualified shiatsu masseuse. For those who don’t want to jog or take up yoga, there’s always the near-Eastern tradition of the evening stroll. 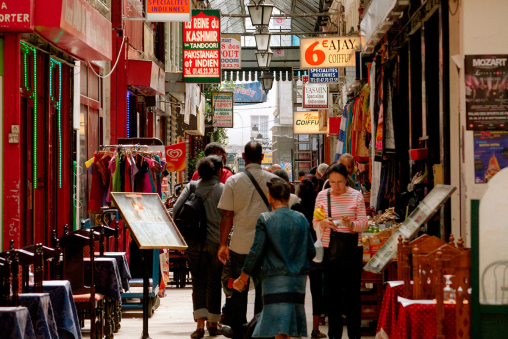 When the weather is good, the streets here fill with elderly Turks tossing their worry beads, along with African mums buying vegetables. Meanwhile Algerian men greet their friends behind the counter with a ‘salaam alaikum’ while bobo couples promenade their infants in push-chairs. Parents also have the advantage of there being two écoles maternelles in the neighbourhood, one on rue Martel and one on rue Paradis, and an école élémentaire on rue du Faubourg St. Denis. Several lycées are within easy walking distance too. There is also the Rocroy Saint-Vincent de Paul group of schools, which are semi-private, and are consistently ranked among the top 15 in France. Huge array of food choices whether eating in or out. Central, with a choice of Métro lines. 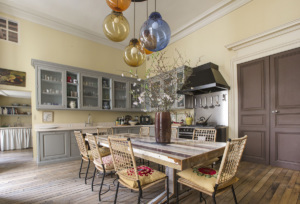 Walking distance from the Gare du Nord for Eurostar travellers. 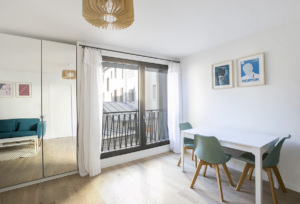 Noisy at night (choose an apartment with double glazing or facing a courtyard). Parking is difficult and the daily rubbish collection often blocks the streets. Not many trees or green spaces. Family-run grocery store with an excellent selection of cheeses, cold meats, bread, champagnes, wines and spirits. 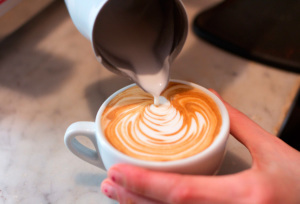 The staff are friendly and knowledgeable. A wide range of fresh and seasonal fish delivered daily (and very artfully displayed) under the watchful eye of personable proprietor Émilie Lentz. Lovely, ready-to-serve seafood platters available too. Small but impeccable and very well-stocked deli selling all things Corsican. If you want to eat your sandwich here and now, there are a couple of tables inside and, for sunny days, a pretty outdoor terrace filled with blooming geraniums. 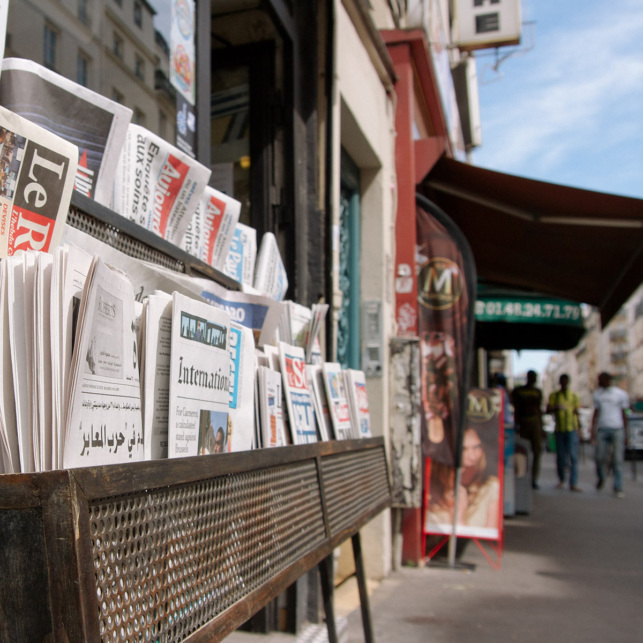 Newspapers and magazines from around the world and, some say, the best (and best-priced) falafel in Paris. 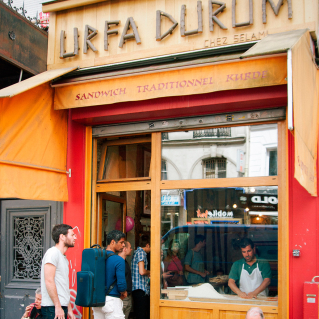 The small kitchen also produces great tabbouleh, hummus, aromatic Syrian pastries and more besides. 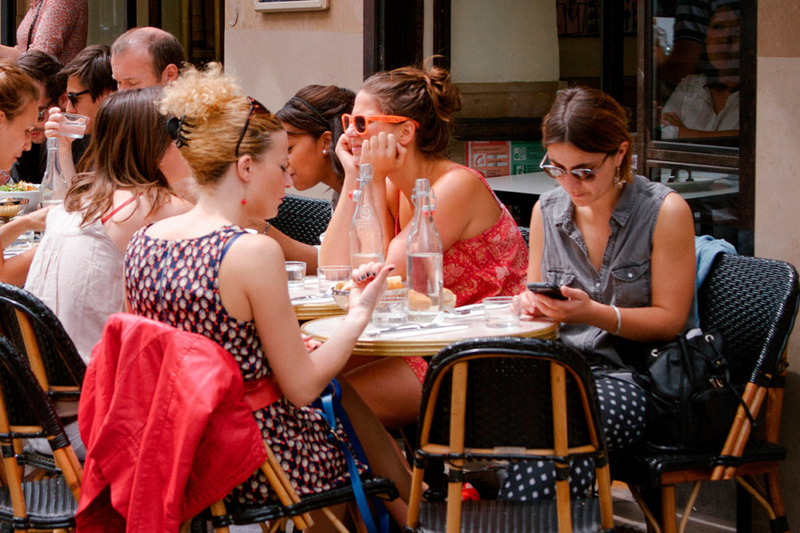 Sit at the communal table if you want to catch up on the neighbourhood gossip. 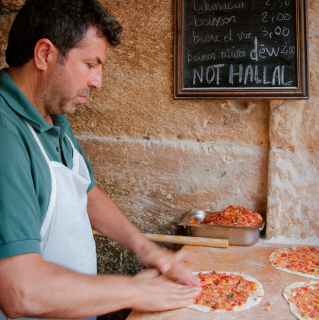 The Kurdish twist on pizza and other regional dishes served here are fast food at its best. Chef and television presenter Anthony Bourdain gave the place the thumbs up a while ago and the crowds have flocked here ever since. No one comes for the decor, but the simple, tasty and surprisingly cheap Indian food is well worth the trip. You can expect to eat well here for around 10€ and there are plenty of appealing vegetarian options. Regulars can’t seem to get enough of the cheese naans. Flo is decorated in classic brasserie style (banquettes, dark wood, lots of mirrors) but the food is way above average, especially the seafood. Small, busy bistro with a menu that changes daily and puts an innovative spin on some French classics. 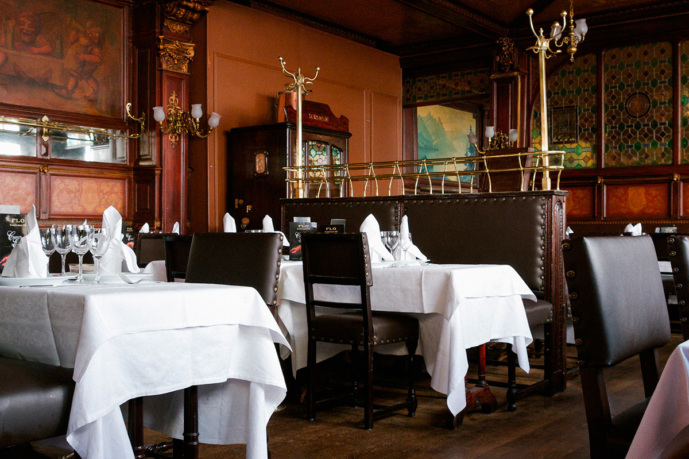 If you can’t get in for dinner, try the lunch menu: at 15€ a head it’s is an amazing bargain. More than 20 classes a week in different yoga disciplines, including Ashtanga and Prana Flow, designed to improve breathing, balance and muscle tone. A pleasant studio space and good-humoured teachers. One of the biggest areas of greenery in the 10th arrondissement, there are some lovely old trees here, large lawns, a community garden where local schoolchildren learn to grow vegetables, and an area reserved for ball games.